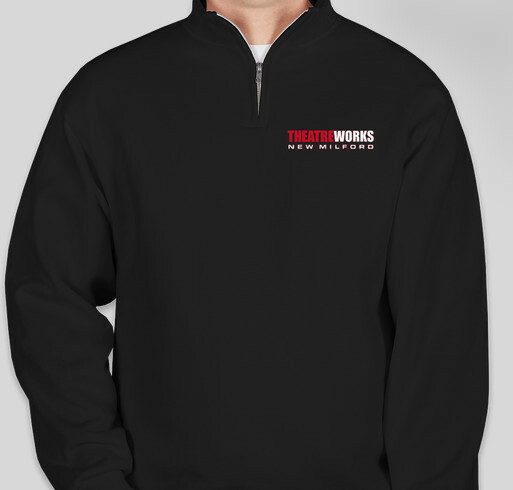 Support TheatreWorks by purchasing a sweatshirt, TShirt or Polo! All funds raised will go directly to THEATREWORKS NEW MILFORD INC .
TheatreWorks New Milford is a not-for-profit 501c3 organization that believes theatre and the creative arts are dynamic forces in our society and should be encouraged and promoted in every community as a mark of the attainment of the human potential. I like your Theater and I like sweatshirts! Share Why You Support "TheatreWorks New Milford Merchandise"